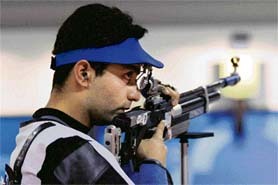 Abhinav Bindra won the first ever individual gold medal for India. He won it in the 10 m Air Rifle today. This gold comes after a long wait of 28 years. Last time we won a gold, it was in the Men’s Field Hockey (This time around our team dint even qualify BTW).